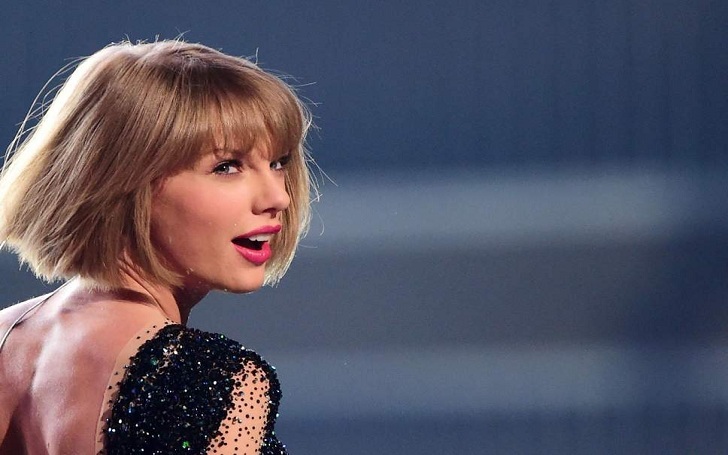 American singer Taylor Swift has always been generous and this time, she showed her generosity donating almost $113,000 to Tennessee LGBTQ Rights Organization named Tennessee Equality Project (TEP) on Monday. Along with donating a big sum of money, she also hand-wrote a note where she expressed how much the organization inspires her with their work. 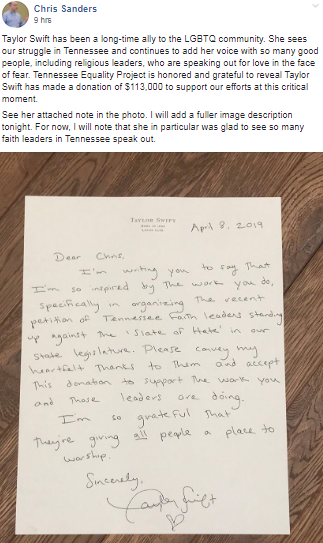 Well, the executive director of TEP Chris Sanders too expressed gratification on behalf of the organization and posted Taylor's letter on the official Facebook page of the organization. Well, apart from her recent philanthropy, the 29 years old singer, who always keeps herself away from political ideologies, spoke for the first time about the 2018 midterm elections in November. Through her Instagram post on Oct 7, the singer urged her fans to get up and vote and not stand idly by. Further, the singer also explained why she decided for the first time to give her political opinions. A couple of days later, Swift posted another photo where she is seen holding American flag next to Phil Bredesen for U.S. Senate sign. Well, Phil lost the election, but reports suggested that Taylor had a major impact on a majority of people who went up registering to vote. As per the reports, within 24 hours of Taylor's post, there were over 65,000 registrations. We are up to 65,000 registrations in a single 24-hour period since T. Swift's post.